This is a free sample of my comprehensive list of English homophones. 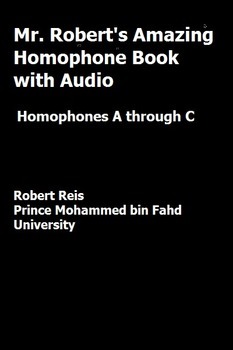 It comes with definitions and special sample sentences to aid in memorizing and pronouncing the homophones. Each of the sample sentences is pronounced in an audio file that you can click. It is ideal for use in classrooms with projectors and sound systems.